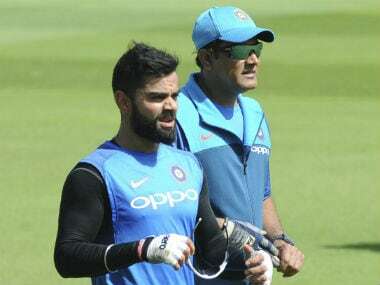 New Delhi: Anil Kumble on Tuesday conceded that a fallout with captain Virat Kohli was the reason behind his decision to resign as India's cricket coach, claiming that their partnership had become "untenable" despite attempts to resolve the misunderstandings. In his resignation letter to the BCCI, the 46-year-old former captain said he was taken aback when he was told about Kohli's "reservations" about his coaching style. "... 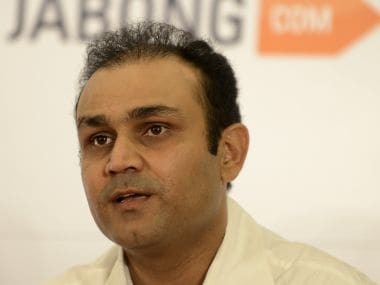 I was informed for the first time yesterday by the BCCI that the captain had reservations with my style and about my continuing as the head coach. I was surprised since I had always respected the role boundaries between the captain and coach," Kumble wrote in his resignation. "Though the BCCI attempted to resolve the misunderstandings between the captain and me, it was apparent that the partnership was untenable and therefore I believe it is best for me to move on," he added, without specifying any specific instance of disagreement with Kohli. Kumble's decision to step down came just two days after India's embarrassing loss to Pakistan in the Champions Trophy final. His one-year contract expired at the end of the Champions Trophy but he was given the option to travel with the team to the West Indies for the limited-overs series beginning on Friday. However, Kumble decided to stay back in London for the ICC 'Annual Conference' as he is the chairman of the Cricket Committee while the Indian team boarded the flight to Barbados. "Professionalism, discipline, commitment, honesty, complimentary skills and diverse views are the key traits I bring to the table. "These need to be valued for the partnership to be effective. I see the coach's role akin to holding a mirror to drive self improvement in the team's interest," Kumble wrote. "In light of these reservations, I believe it is best I hand over this responsibility to whomever the CAC and the BCCI deem fit," he added referring to the Cricket Advisory Committee which is entrusted with the job of finding his replacement. 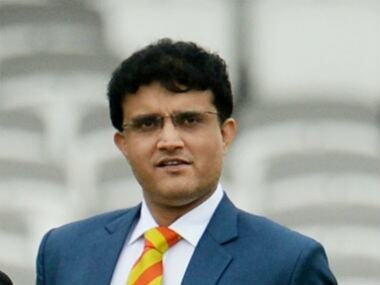 The CAC, comprising Sachin Tendulkar, VVS Laxman and Sourav Ganguly, held meetings with Kumble as well as Kohli to sort out the differences between the duo but failed. "Let me reiterate that it has been an absolute privilege to have served as head coach for the last one year... I will remain a well-wisher of the great cricketing tradition of my country forever," Kumble stated. India did well under Kumble in the past 12 months, winning Test series in the West Indies (2-0) before winning at home against New Zealand (3-0), England (4-0), Bangladesh (1- 0) and Australia (2-1). The team won eight ODIs and lost five during his tenure.